9W 38° COB LED GU10. • Diameter 82mm. Depth 150mm. Cut-out 70mm. This luminaire is compatible with bulbs of the energy classes A++ to E and is sold with a bulb of the energy class A+. Meridian lighting. 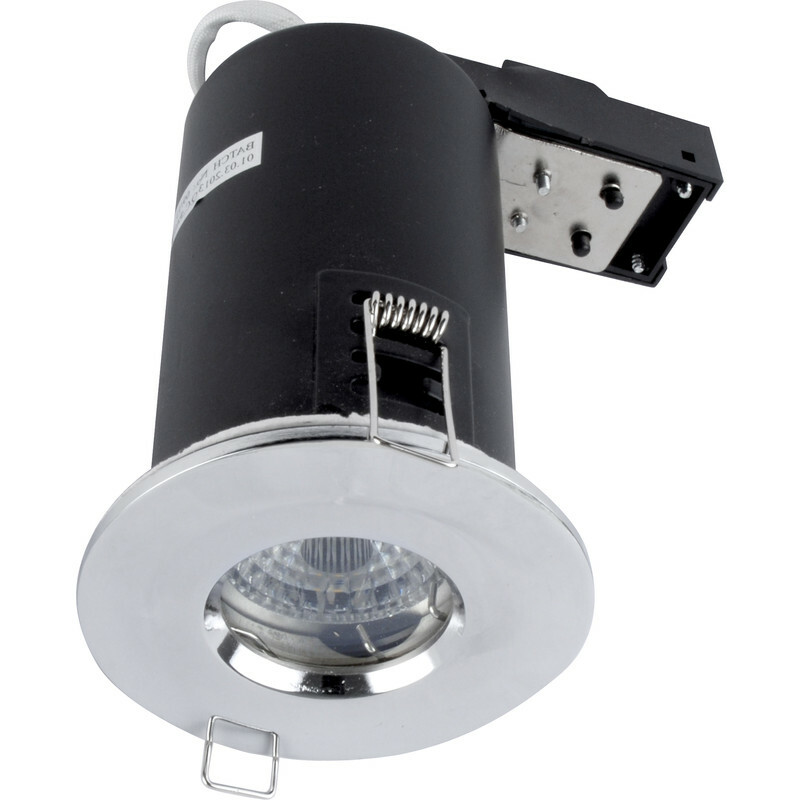 LED 9W Fire Rated Dimmable IP65 GU10 Downlight Chrome 650lm is rated 4.7 out of 5 by 3. Rated 5 out of 5 by Mr MF from Downlights that do the job Super bright lights, easy to fit.